In planting a satellite campus within an existing church located in South Knoxville Northstar Church need to provide additional space to promote fellowship and create a new look and identity for the building that would reflect their brand be inviting to those who were looking for something new and fresh in a church experience. 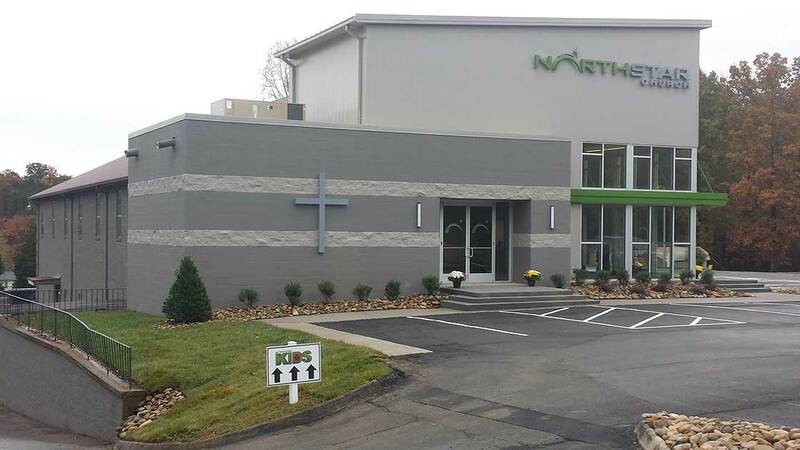 Northstar Church took over an established church that had an existing facility located along a main highway in South Knoxville which had a seating capacity of about 300. The exterior of the building, while in sound structural condition was dated and did not reflect the brand of their ministry. 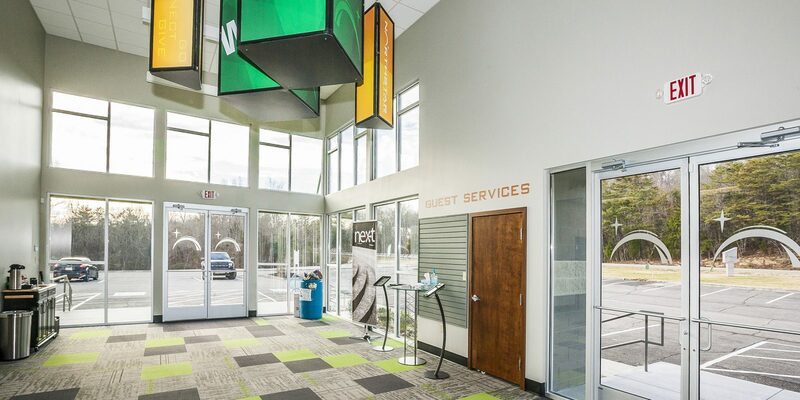 The lobby space was very small and inefficient lacking the ability to have a suitable fellowship environment that is critical to the culture establish at their West Knoxville main campus. The design solution including removing the front façade and steeple from the building and providing a 1,000sf addition to expand the lobby space and provide new restroom facilities. The addition features a large, inviting glass façade that faces the South Knoxville community inviting guests to enter. The exterior introduces several new materials including metal panels and CMU and existing brick was painted to introduce a new color scheme to the facility. A green canopy reflecting the church’s logo color provides an accent and identifies the points of entry into the building. In addition to the new lobby addition, the church also renovated their children’s space to provide an exciting and engaging environment for kids and transformed the existing traditional worship environment into a contemporary auditorium and added new technology for simulcasting live programming from their West campus. 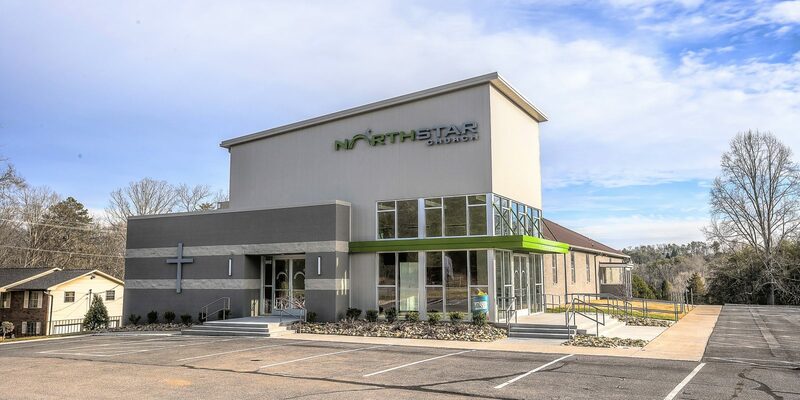 Since relaunching this church under the Northstar brand, attendance has more than doubled the church now holds multiple services each weekend. 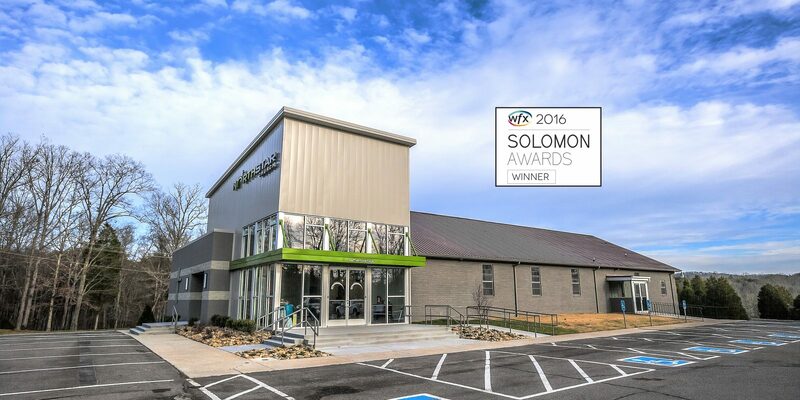 The design presented with a Solomon Award in October of 2016 as presented by Worship Facilities WFX Network for excellence in Contemporary Church Design.